What Temperature To Cook Pancakes? 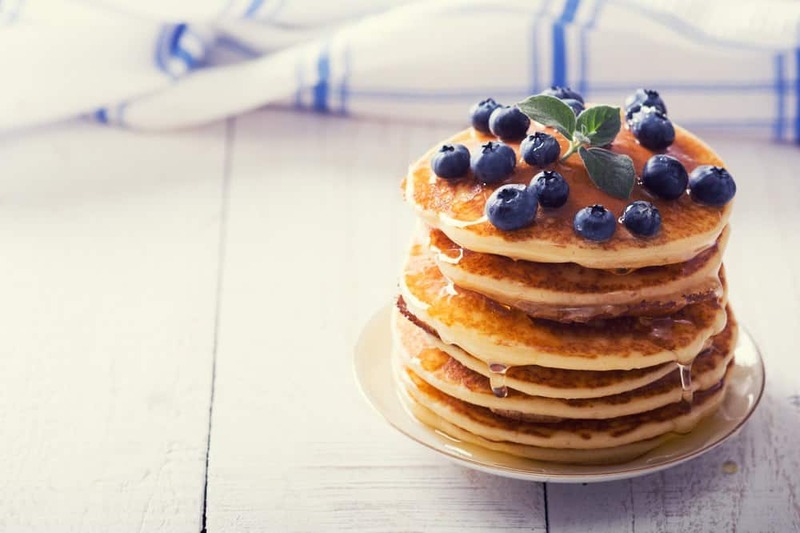 Pancakes are the ultimate breakfast food. They’re not too heavy, and they pair well with healthy fruits. What’s more is that pancakes are really quick and easy to make. Though I have struggled with making perfect fluffy pancakes before, I now manage to get them right every time ever since I learned what temperature to cook pancakes in. 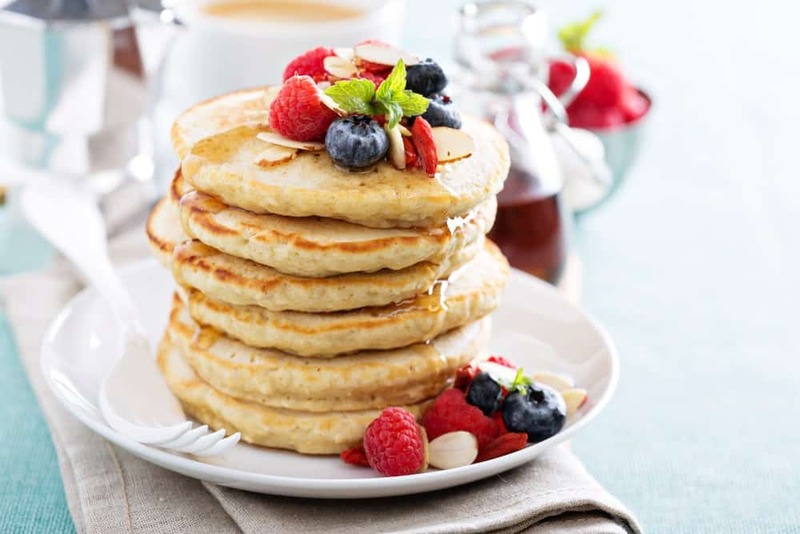 If you want to learn how to cook fluffy pancakes every time, read on to know the best temperature for pancakes, a simple pancake batter recipe, and a couple of mistakes you should avoid to end up with perfect fluffy pancakes. What’s The Best Cooking Temperature For Pancakes? Before I learned that there’s actually a right temperature for cooking pancakes, I used to just turn on my stove, wait for my pan to get a bit smoky, and put in my batter until the pancake forms into shape. My previous pancake endeavors led to chewy pancakes that are almost burnt on one side and is somewhat undercooked on the other. Turns out, to get those nice golden brown soft fluffy pancakes, you will have to set your stove or griddle’s temperature to a nice 375 degrees Fahrenheit. This temperature setting makes for the fluffiest pancakes with a nice golden brown color and soft and fluffy insides. Note: Using a griddle will help you cook your pancakes much easier than a stove. A griddle can also cook many foods and easy to clean! If you still don't have it yet, take a look at my reviews about the best pancake griddle. When whipping up a batch of pancakes, the right temperature isn’t the only factor you have to be mindful of to produce nice soft and fluffy pancakes. There are also a couple of easily conceivable mistakes any home cook can make that can lead to chewy pancakes that are a bit tough to eat. Note: You will need a suitable sifter to ensure your batter will end up smooth. Using a small sifter could leave you continuously putting in the flour spoon by spoon. It's very tedious and time-consuming. To find a fine sifter, take a look at my article on how to choose the best flour sifter. You may think that your batter needs to be completely rid of lumps, leading you to beat your batter until it’s completely smooth. But contrary to popular belief, it’s actually okay to have a couple of lumps left in your pancake batter. When you beat your batter too hard, gluten will start to build up, leading to overworked batter that makes chewy pancakes. To avoid overbeating your batter, you should stop mixing your batter once all the ingredients are completely combined. Another thing you should do to have fluffy pancakes, is to let your batter rest for a couple of minutes before putting it in the pan. I know pancakes are delicious, and you just want to get over the cooking process and skip right ahead to eating. But you should always wait for the pan to reach the optimal temperature so that you’d end up with nice fluffy pancakes that haven’t soaked up all the butter or grease in the pan. To find out if you pan is ready for cooking, you may try it out by putting a small amount of your batter in the pan. You should also avoid getting your butter burnt before putting your batter in the pan to avoid nasty burnt flavors. A pan that lacks heat will lead to greasy pancakes. While a pan that’s too hot, will lead to unevenly cooked pancakes. You need to set your stove’s temperature to a balanced 375 degrees Fahrenheit to get nice golden brown pancakes that are fluffy and soft. When it comes to cooking soft and fluffy pancakes, one flip is all it takes. If you flip your pancakes more than once, you may cause it to lose its fluffiness. To know when the right time to flip your pancake is, simply look out for the formation of bubbles on your pancake. Once the bubbles burst, you should immediately flip your pancakes to ensure that it cooks evenly on both sides. 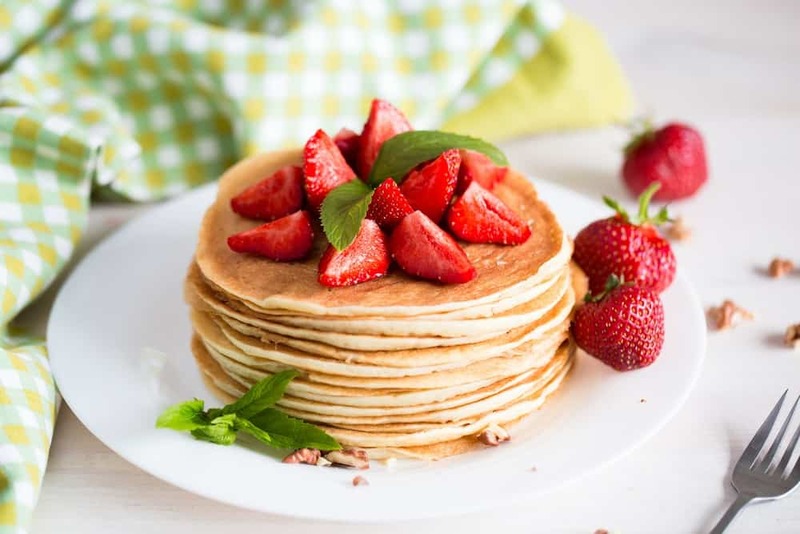 Now that you know more about cooking pancakes, you may put your newly acquired knowledge to the test with this simple pancake recipe you can easily try at home. Step 1: mix milk with vinegar in a bowl and let it sour for 5 minutes. Step 2: mix the soured milk with the egg and butter. Step 3: mix the dry ingredients with the wet ingredients in a bowl. You should stop mixing once all the dry ingredients are completely combined with the wet ingredients. Don’t worry about getting a few lumps. Step 5: Set your stove to 375 degrees Fahrenheit, and spread a little bit of butter on your pan. Step 6: Pour ¼ cup of your batter onto your pan. Step 7: Flip the pancake once the bubbles that form on its surface burst. Step 8: Wait for a couple of minutes until the bottom of the pancake turns golden brown. If you succeed with the recipe above, I encourage you to try the following recipe and technique: apple banana pancake , best popcorn kernels and ​best cheese slicer​​​. 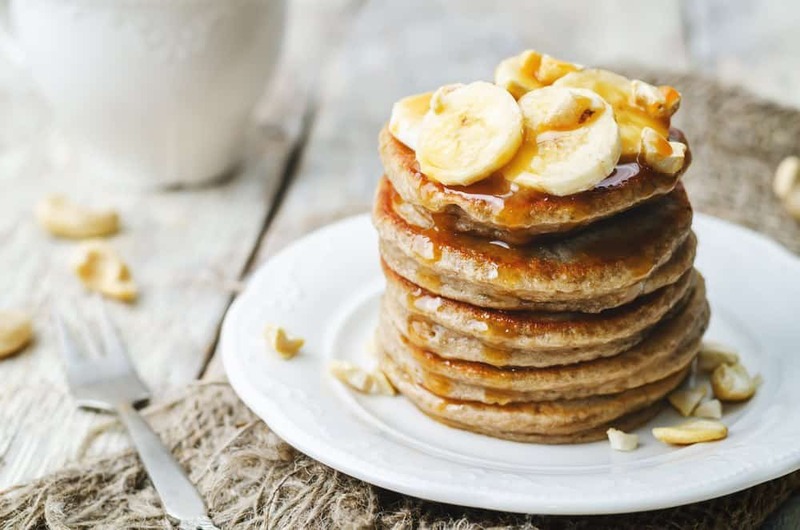 Pancakes are an easy breakfast meal you can whip up in less than 15 minutes. 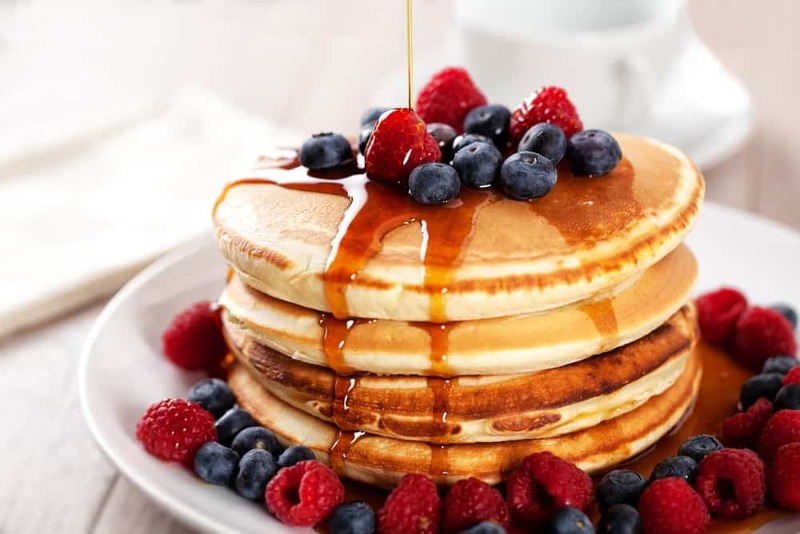 When cooking pancakes, you should set your stove’s temperature at 375 degrees Fahrenheit to end up with soft fluffy pancakes that are evenly cooked. You should also remember to flip your pancakes at the right time, just when the bubbles that form on the surface burst. If you liked reading this article, and would like to know more about cooking, please leave us your feedback in the comment box below. Until next time, enjoy! Thanks for the recipe/info. I heat the cast iron grill pan in the oven for more even heating.